No longer will Indian athletes struggle for high-quality performance products. Great gear is a competitive advantage. It takes an athlete to appreciate the difference quality gear can make. As a professional squash player, Siddharth, co-founder, saw peers with access to good footwear and apparel perform better, recover faster, and suffer fewer injuries. Conversely, the limited, or non-availability of good quality products at restrictive price points is in itself a barrier to performance by Indian athletes. The desire to change this led to the founding of Azani, a performance brand for all levels of athletes: professional, amateur, and aspiring. The goal is a trusted brand that meets the performance needs of every single Indian who wants to push their physical limits. The time is ripe, particularly as India is slowly moving from being a cricket-only nation to one where other sports, as well as fitness, are gaining in importance. Built to deliver great functionality, but always be accessible, Azani fits in perfectly. The brand was built ground up, with participation in marathons. 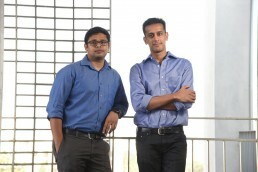 Both, Siddharth and Punith would introduce their products and “talk them up” to customers. One particularly skeptical customer required a great deal of persuasion to even try on a pair of Super Sonics. When he did, though, he walked, and then broke into a run all the way around the exhibition floor, stunned to see that this was an Indian product. 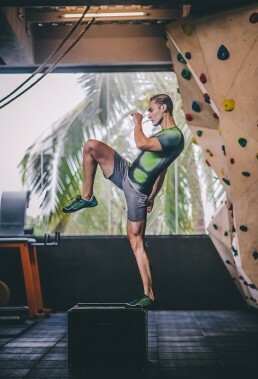 Azani counters this challenge with ringing testimonials from professional athletes, full-time marathoners, and the like, all of whom echo the same sentiment: This, at long last, is an Indian brand providing quality comparable to the top international brands. It’s the reason you’ll be seeing more of Azani at clubs, courts, gyms, and marathons. 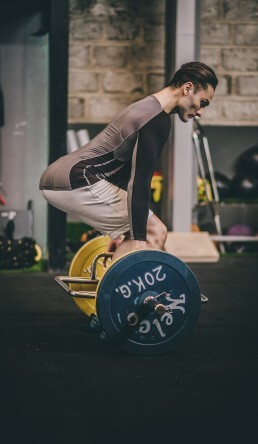 It’s great gear, and now there’s no holding your athletic ambition back.